When it comes to nausea remedies, many people are quick to grab a medication like Bonine or Dramamine to either prevent or treat the problem. Although these drugs can be very effective, just like all medications that are some potential side effects to deal with. That's why when it comes to motion sickness or a general feeling like you have to throw up, you might want to try a natural option first. Why take a drug if you don't have to? 1. Ginger Extract - This is perhaps the most well known of all of the natural nausea remedies, as it is readily available and easy to use. We've all be told that ginger ale can help with stomach uneasiness (although the soda rarely contains real ginger). The same holds true with any ginger product, be it a tea, a supplement or just eating it raw. Ginger contains phenols that work to relax stomach muscles, and also neutralizes stomach acids, alleviating upset stomach, nausea and motion sickness and other digestive issues. 2. Apple Cider Vinegar - This is one of those cure-alls that seems to work for everything, but it can be particularly helpful for sour stomach, acid reflux and nausea. The vinegar contains pectin which can minimize intestinal spasms as well as anti-microbial and anti-bacterial properties. Make sure you choose the raw, unfiltered vinegar, and preferably organic, and give it some time to work. 3. Cloves - These herbs for nausea have many properties which make them a great natural choice. They are anti-viral, analgesic and anti-fungal, and can be used in various ways. You can breathe in clove oil, put some cloves in your mouth and chew on them, or put a few drops of the oil in your drink. It's a quick and easy way to treat your nausea and any related issues you are having. 4. Chamomile - Another of the well regarded nausea remedies, chamomile is able to relax the muscles that line your stomach, which may help stop that feeling like you have to throw up. A few drops of the oil or a simple chamomile tea can do wonders for your stomach issues, motion sickness or general nausea. 5. Peppermint - Similar to chamomile, peppermint can also relax the stomach muscles, alleviating feelings of nausea and stomach unease. You can try a tea, an essential oil or even a supplement, and take advantage of its many healing properties. Do these remedies always work? As with any medication or natural treatment, depending on the nature and severity of your nausea, these 5 nausea remedies may not work for you for one reason or another. Your best bet is to try one out the next time you're feeling a little uneasy to see how you feel. 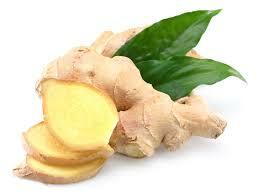 Try a chamomile tea, breathe in some clove oil or make yourself a ginger ale (with real ginger!). The bottom line is you are always better off trying a natural option for something like nausea before grabbing a medication that may treat the problem but cause side effects at the same time. Do you have a nausea remedy that you'd like to share? Drop us a line and let us know about it!